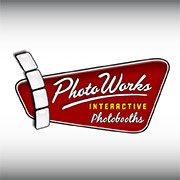 For more than 10 years, PhotoWorks has been bringing fun to life by building, renting and selling the best photo booths available across the U.S. and internationally. What started as a personal passion has grown into a company committed to sharing the fun of photo booths with our customers and the world. Our team is honored to be able to bring this experience and the joy it inspires to live through the work we do every day.